Peter Moore describes Dead Space rumor as "standard, shoddy website journalism recipe." Not that long ago VideoGamer.com posted a story about the possible cancellation of the Dead Space franchise, citing the say-so of an unnamed informant; "a source familiar with the unannounced project," was how VideoGamer phrased it. A later update indicated that the story was false, and EA's Chief Operating Officer Peter Moore has since taken to the GamesIndustry.biz forums to vent his displeasure. Singling out VideoGamer.com by name, Moore described the article as "standard, shoddy website journalism recipe, born out of a desperate need to increase click-thru rates to support advertising revenue." He accused VideoGamer.com of deliberately inciting vitriol to increase revenue, and went on to say that it was part of a cynical "rinse and repeat" ongoing strategy. "My issue is not the rejection of community feedback (we get that in bucketloads all day long and we learn from it in real time)," says Moore, "rather it was the fabrication of a story in order to generate controversy and ultimately readership." Other EA spokespeople have since said that "while we have not announced sales for Dead Space 3, we are proud of the game and the franchise remains an important IP to EA." Sales targets are at the root of the Dead Space problem. 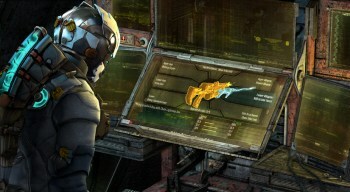 EA Labels President Frank Gibeau said when the targets were announced that "ultimately you need to get to audience sizes of around five million to really continue to invest in an IP like Dead Space," adding that "anything less that that, and it becomes quite difficult financially given how expensive it is to make games and market them." Without a sales number announcement, it becomes increasingly difficult to believe that the five million target was, or will be, hit.